Okeechobee Blvd. & Palm Beach Lakes Blvd. The Okeechobee Steakhouse is proud to serve only Certified UDSA Prime Beef, Dry-Aged and Hand Cut in House, GUARANTEED! It begins with a commitment to quality, and ends with a desire to offer you the best-tasting beef available. 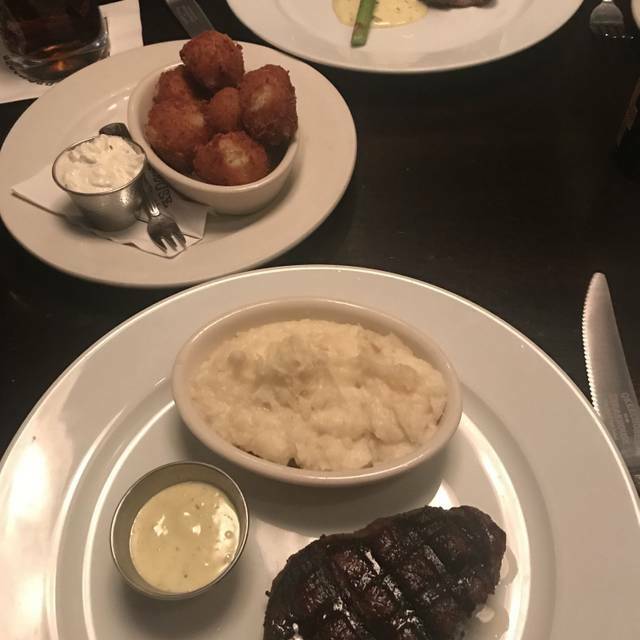 Because our steaks are abundantly flavorful, incredibly tender and naturally juicy, The Okeechobee Steakhouse has earned the reputation of being one of the top steakhouses in South Florida. The Most Tender Steak, Center "Barrel Cut"
Thick Boneless Center Cut 14oz. Very enjoyable! Great food especially palm beach steak. Highly recommend! I love this place. 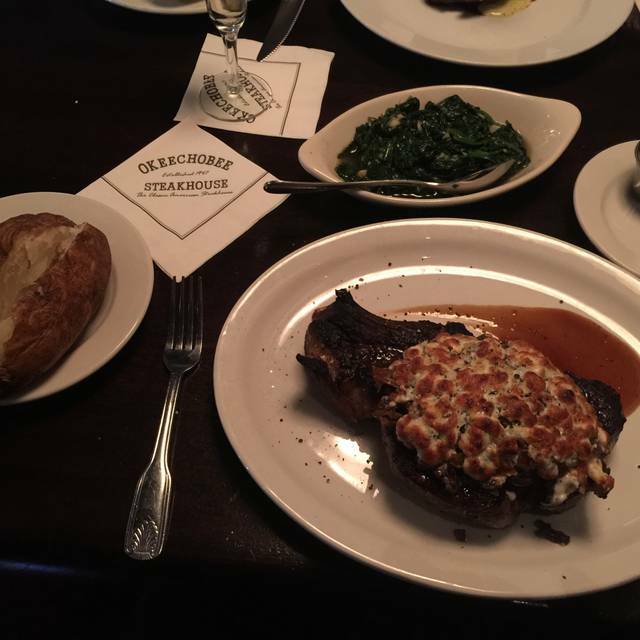 The steaks are great, the service is wonderful and the value is the best of the steakhouses. Unlike the other premium steakhouses this one includes a salad and potato with your entree. They give you a free steak dinner on your birthday. The waitstaff are very friendly. A great place to take a friend or relative without spending an arm and leg. Was terrible from beginning to end.was about to leave when Our sever chimes in,, acting like she is available now.. she dropped off drinks without saying a word while she went to talk and laugh with other tables. Food was terrible.had salmon that tasted real fishy even after I put lemon on it. Only thing I enjoyed was Our drinks.will never return again in life.payed 107$ for Bulshit. Went to five guys burger and fries later on that day and was more satisfied with their burget than spending 107$ for nonsense . Im very disappointed and will call corporate. Fantastic aged steaks and great service. When going be prepared to spend a pretty penny. Would definitely go again. Always amazing food and service. So glad to have brunch options now! Short Rib Burrito is my favorite and the Salmon Bruschetta was amazing too! Took my husband out for a Birthday dinner. 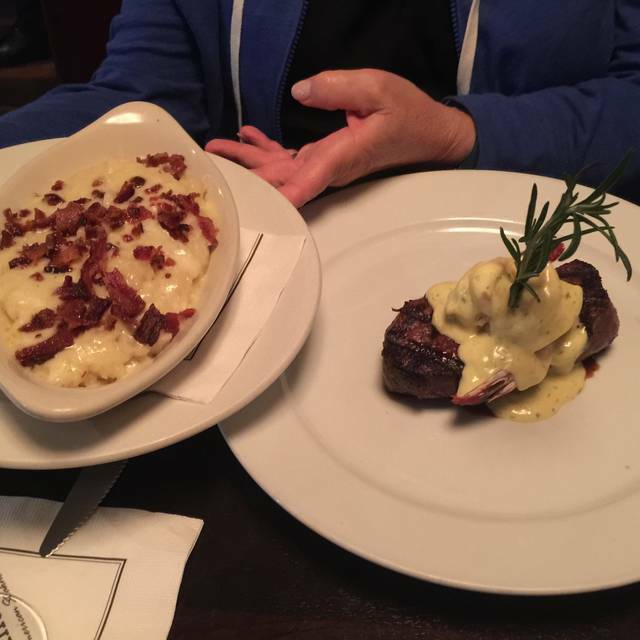 We were seated right away and the staff was very friendly and knowledgeable of the different cuts they offer. We had 1 slight issue with my order but the staff corrected it immediately. I would recommend Okeechobee Steakhouse to any steak lover around. We will be going back! Just love this Restorante everyone is so nice and the food is the best!! I am from out of town but get down at least twice a year and Okeechobee Steakhouse is always going to be one of my stops!!! Thank you to the owners but mostly to the staff!! Great job!!!!! See you soon!!! Best steaks in the area. Great service . A real old time steak house. Service and steaks were great!! Always good food and service. Food a bit pricey but the food is delicious. We heard that the steakhouse was very good. Entering the steakhouse we saw that it was crowded and very busy. We were anticipating a very good meal. It wasnt. The food was very pricey and wasnt very good. We have eaten at many steakhouses and this one was marginal. We will not return. I had a "Dry Aged KC Steak" not dry aged and a little tough. Prices were high and atmosphere missing. 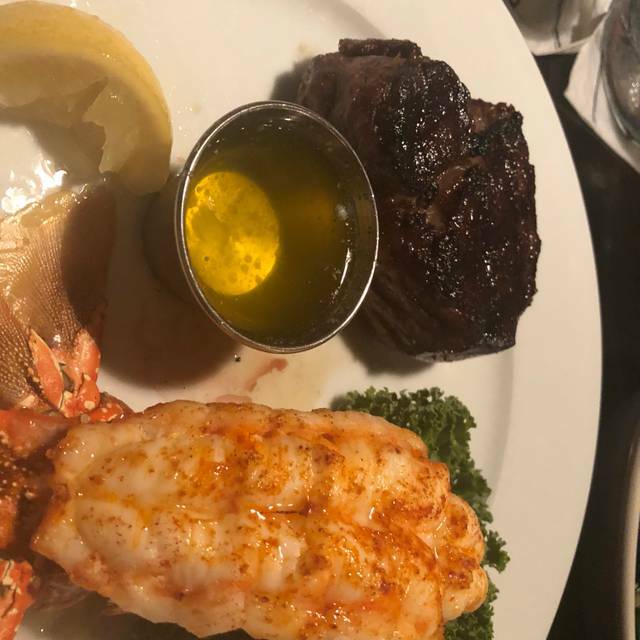 I would rather go to New York Prime for the same price you get better Steaks and atmosphere. We noticed a big change for the worse at our last visit. Food had no taste. Had to ask 4 times for sour cream. Prices remain high. We look elsewhere for a good steak. One of my favorite eating establishments-if you haven’t eaten there, a must! 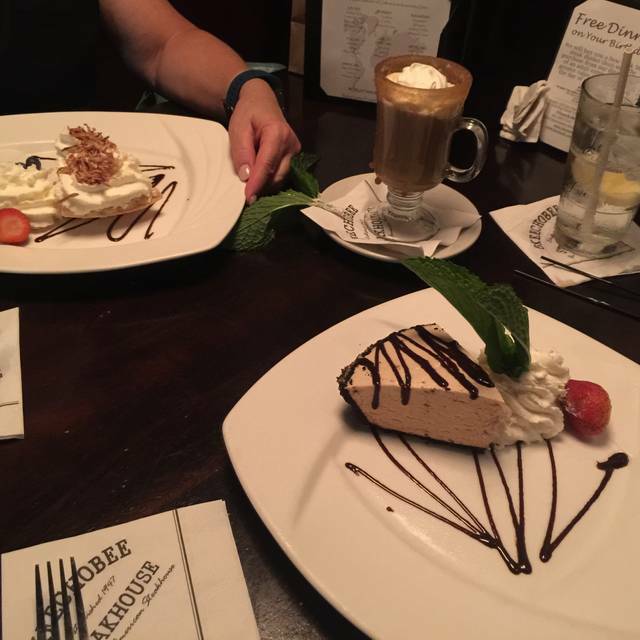 Okeechobee is our go to place for special occasions, birthdays, and special friends. 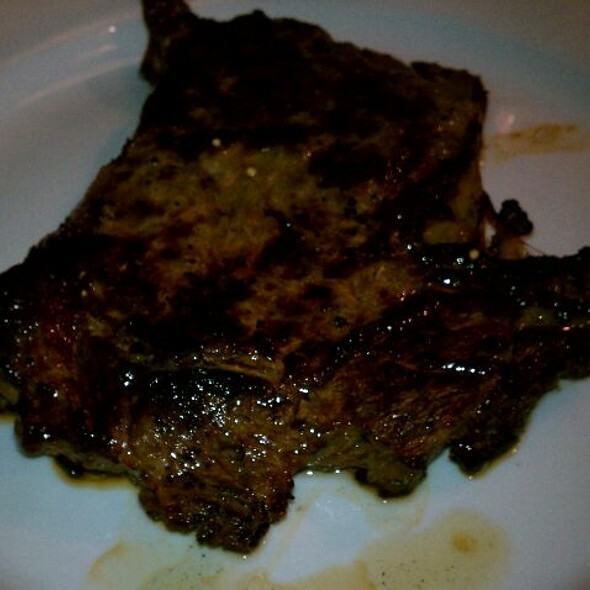 The steaks are always perfect and service is consistently friendly without being overbearing. Tried the Bruch and it was amazing ! Wonderful meat at NYC prices. We went for lunch. 8oz NY strip is $33.95 with simple salad and potato. Sides very expensive. For those prices, I expect superb service and ambiance with everything near perfect. I am not such a steak fanatic that it causes me to pay crazy prices for a small piece of prime. I am sure some people are. IMO, this is an expense account spot. For special occasion, I would go somewhere with more style and spirit. From start to finish this place set a bar on guest expectations! Our steaks were delicious and melted like butter. The potato’s Roma was with blue cheese and it was mouth watering , the Brussels sprouts were cooked to perfection. The service was perfect. We felt like we were in NYC steakhouse. Food excellent; service excellent. Expensive but worth it. We celebrate our wedding anniversary and both our birthdays. This is an amazing place with excellent food and servers. Totally enjoyed the evening. Got there about 15-20 minutes early and still was ushered to a table without any issue. After drinks had been ordered, 2 square rolls came to the table but found them a bit dry and cold. The waitress brought the beef tray and gave an intelligent and very understandable explanation about the cuts. 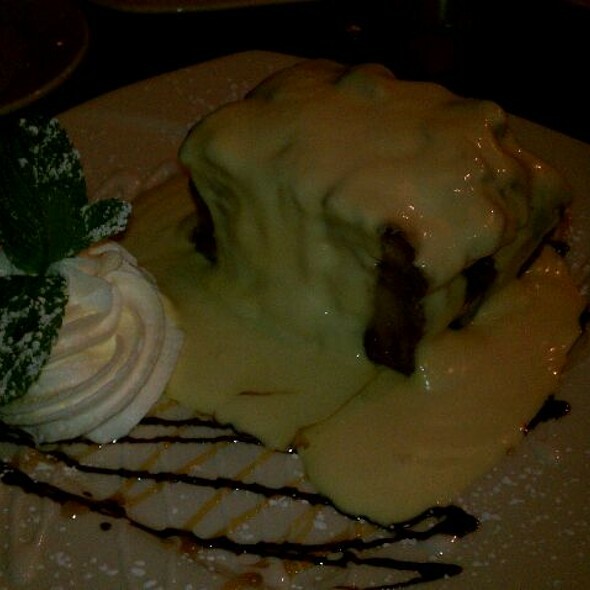 We had an excellent and delicious meal including a dessert of high quality and taste. The only constant distraction was the high level of noise generated by the layout and construction of the room. Would not have thought that this would be expected in a high-end steakhouse. But shall return when season dies down. Rich was awesome. His recommendations were spot on and his service was A+++. We will be back as the food was phenomenal and the ambience perfect. 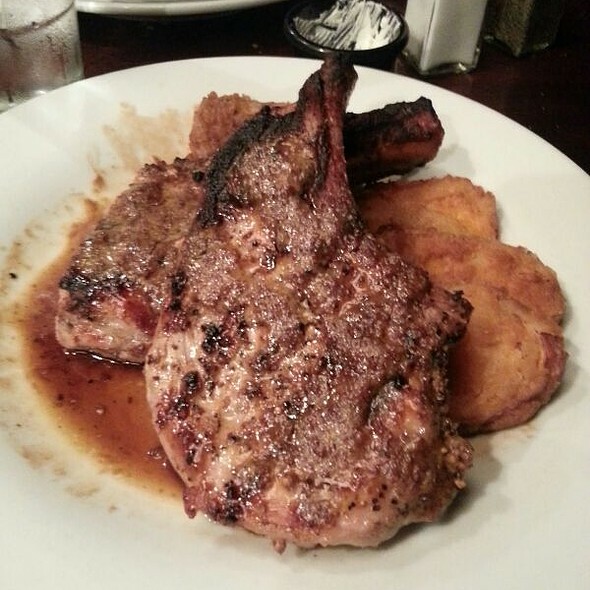 We can see why you’re the oldest steak house in Florida. Awesome! Incredible! Great old “Steak House”. Premium meats and nice choice of sides, salads and seafood dishes. Experienced, pleasant staff. Our waiter was excellent and his recommendations on which steaks to get were spot on. The manager Thomas also stopped by our table to help with the wine. All in all and 9 out of 10. By far the BEST steak I have EVER had! A little pricey, but definitely worth what I paid. We went for lunch. 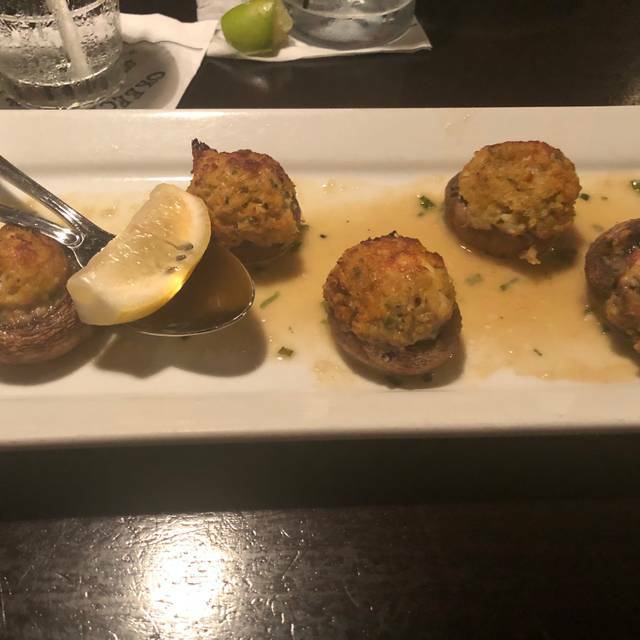 We started with the escargot, delicious. Then house and Caesar salads, vey good. Thes teak arrived. Perfectly cooked with a large baked potato. Finally, we had a piece of Key Lime pie, also very good. We will return again. The food is always outstanding, our waiter David was not only great, but a most delightful person and the service was perfect. We always look forward to another evening of dining there. Richard was the BEST. Food excellent & getting potato & salad was a bonus. Cocanut cream pie amazing !